In spite of last week’s pledge, I have not worked out and I’ve eaten plenty of candy … but that’s not the point of this post. 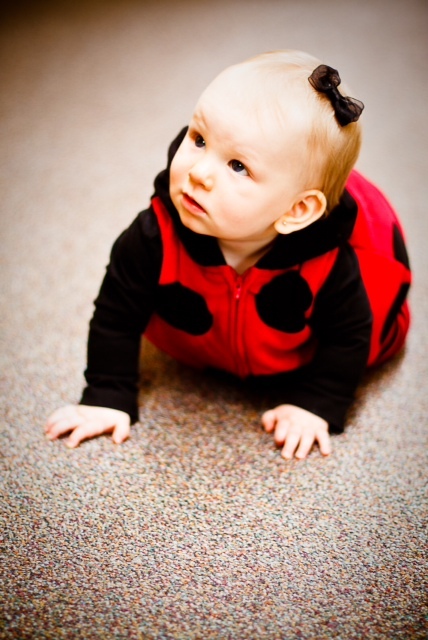 I just wanted to send some ladybug kisses from my little pumpkin! Photos courtesy of Staci Ainsworth (above) and Rita Ikerd (below) at my company’s Halloween party this past weekend. Hope everyone has a safe and happy day and night! Next postMegaphone, Please: She Said “Mama”!!!!!!!!!!!!!!!! !